For those non-Fanboys out there, this past Friday, May 4, 2012, was Star Wars Day. The date for this annual celebration was chosen due to its phonetic similarity to the Jedi blessing: “May the Force be with you.” So, “May the Fourth be with you!” Thanks to my daughter and very indulgent wife, we watched Episode IV Friday evening. I tried to make time to walk during the day, but I chose the easy path instead and just geeked out in front of the TV. On Saturday, I tried to motivate myself again, but my allergies were killing me in the morning, and I decided to put off the walk until evening. My wife Julia need to pick up some fabric for a dress she’s making for our daughter, and since Walmart seems to be the only store within ten miles to carry fabric, we hopped in the RAV4 and made our run on the retail equivalent of the Death Star. I found her lack of manners … disturbing. We eventually made it out of Walmart with the fabric and one very unexpected surprise that had the potential to make it all worth it: the new XBox 360 Kinect Star Wars game. On Friday, I stopped by both Best Buy and Toys-R-Us to find this game. In both cases, they were sold out. Walmart, however, had dozens in stock on Saturday. We had dinner plans with friends, so my steady slide to the Darkside continued through Saturday night with no walk. Sunday, I was determined to redeem myself, but I still felt a bit under the weather. My wife had taken my daughter to a birthday party and were going to the ballet in the afternoon, so I had most of the day to myself. I tried to get out to do my walk, but I just couldn’t seem to drum up the motivation. Instead I read some, watched a little Netflix streaming, and basically lazed about. Around noon, I decided to try and fix my bad motivator and do something active. So, I popped in Kinect Star Wars. Two hours later, I was a tired, sweaty mess. Despite mediocre reviews from critics, Kinect Star Wars is awesome, and I’ve only played the first two missions! I was pretty exhausted, but I kept telling myself I’d try to go walking later in the day. After watching some more Netflix, I realized it was already late afternoon, so I started on dinner so it would be ready when my girls got home. When they arrived, my dear daughter looked at me and asked “can we watch the next Star Wars, the one with Yoda?” My wife (did I mention how amazing she is) agreed to bend the rules and have dinner in front of the TV watching Episode V (aka Empire Strikes Back). It’s amazing how much wisdom I’ve learned from Muppets. After we finished Empire and sent my daughter up to bed, I decided to stop trying. 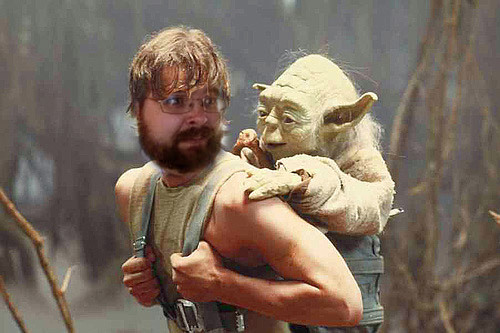 I walked over to the gym, still sore from my bout with Kinect Star Wars, and I DID. 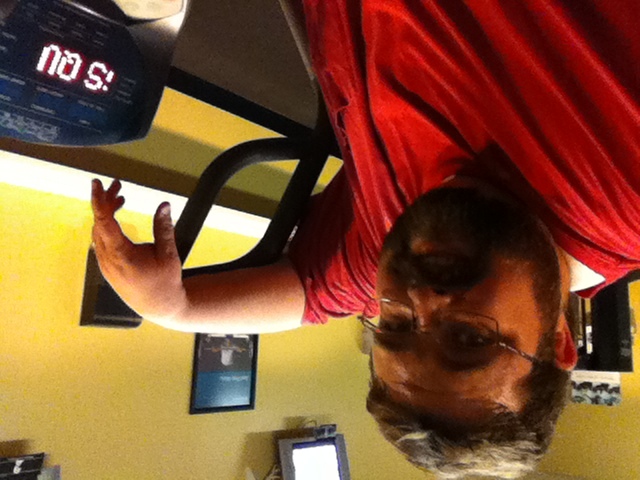 It took me sixty-four minutes to walk five miles on the elliptical, but I finished it. Thank you, Master Yoda. The count: 47 miles down, 953 to go. It’s time to engage the hyperdrive.